Acoustic walls and acoustic ceilings for television are as old as the medium itself. 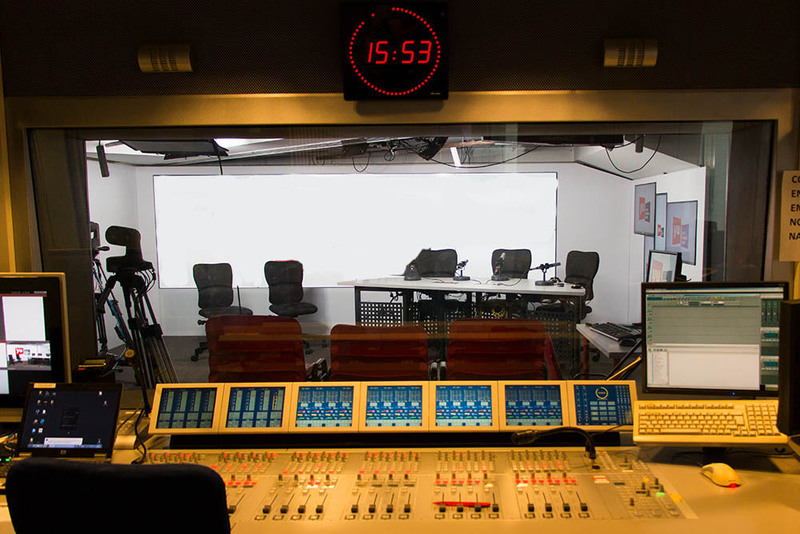 Already with the first television broadcasts and with the decades of experience in radio studio production, studio sets were equipped with materials that guaranteed good acoustics and, consequently, good quality broadcasts. 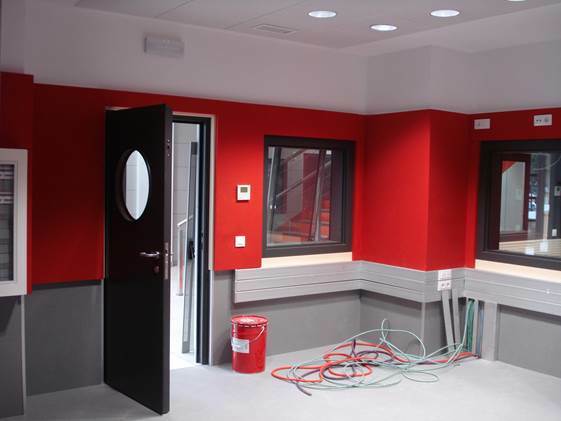 Nowadays all television studio sets have acoustic ceilings and sound-absorbent walls that mitigate the effects of reverberation and guarantee the best acoustics. 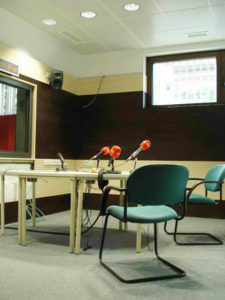 In addition, television, being a visual medium, requires that studios exhibit their best appearance and decorate themselves following careful interior design plans that convey a whole list of sensations to the viewer. Spigogroup has also participated in some of these projects. 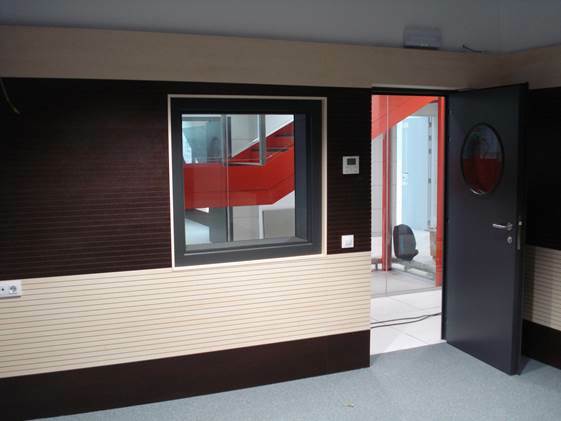 The wood walls and acoustic ceilings for television wood acoustic panels by Spigogroup are made with the ideal material to convey the feeling of warmth and serenity demanded, for example, by the newscast sets. 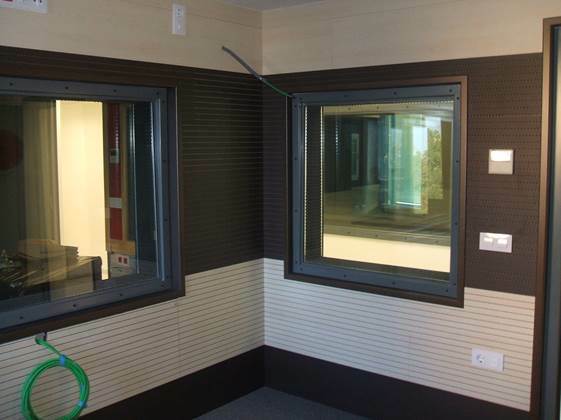 This is the case of the RTVE branches in Málaga, Mérida, Seville, and the most recent, in Logroño, with a major contribution of Spigoacustic wood acoustic panels for acoustic conditioning of the studio sets used for the daily shows broadcast in the provinces. 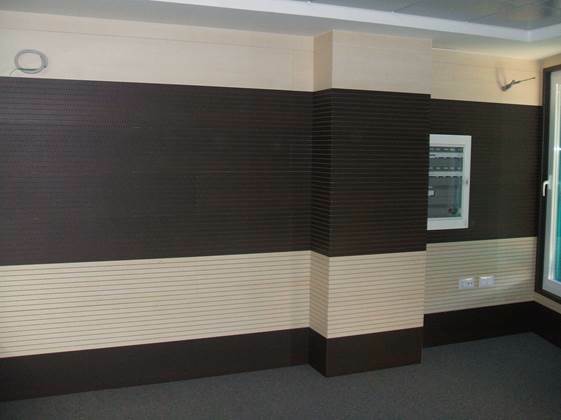 The material used is Spigoacustic model 28-16-32 measuring 2400 x 300 cm, with a thermo-glued sound-absorbent veil and a combination of maple melamine and wenge melamine on 16 mm fire-retardant MDF B-s1, d0. – Does my project need an acoustic false ceiling? How do I know? What are my options?